Growing up in a small town only a short 40 minutes car drive from Dresden, the capital city of the Free State of Saxony in Germany, is one of the reasons why this gorgeous town has a special place in my heart. Regular family trips created long lasting memories and a love for this charming city. The Saxonians are proud of their magnificent city that never feels too busy or crowded. Vineyards, majestic castles, Baroque and Rococo style palaces, and a rich history make Dresden, and it’s surrounding a jewel that attracts millions of visitors each year. My list of the best ten things to do in Dresden will take you on a journey of fun activities like climbing, hiking, and cycling. Find out where to indulge in fine dining and exquisite wine tasting. 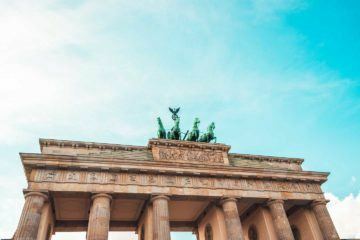 Visit one of the most reputable art galleries in Europe, take a cruise on a Steamboat, or go clubbing in Dresden’s popular pub, bar and restaurant quarters, Hechtviertel and Neustadt. 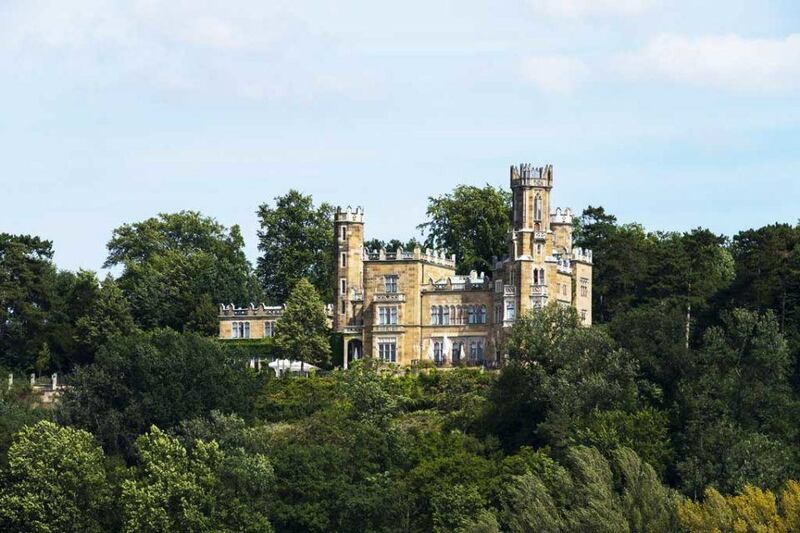 Always wanted to sleep in an old castle? Well, you can cross this off your bucket list when you take a trip to Dresden. Dresden is situated in the far east corner of Germany, close to the Czech Republic border. From here it is only a short 1.5 hours train ride to Prague and 2 hours to get to Berlin. That makes Dresden an ideal (and exciting) place to spend a few days while traveling through Europe. It’s easy to get around in Dresden either by the excellent public transport system, by bicycle or by foot. Most of the historical landmarks and sightseeing attractions are in the old town (Altstadt) and within walking distance. I highly recommend getting a Dresden Welcome Card, which will give you free access to the public transport and a Museum Card that offers a free entree to fourteen museums. For a full list of additional discounts to other events, sightseeing tours, and restaurants, please click here. The best way to explore Dresden is by foot. I recommend taking a guided walking tour where knowledgeable and friendly locals show you the grand historical town center. It is hard to believe that most of the beautiful buildings in the old town center where severely damaged during WWII. Over the last five decades, they have been lovingly restored and rebuilt back to their former glory. One of the most famous landmarks is the Church of our Lady (Frauenkirche), a Lutheran Church, which was destroyed during the bombing raids in February 1945. It was not until 47 years after WWII had ended that the reconstruction work began. Finally, in 2005 the Church of our Lady was reopened in all its majestic beauty. You can reach a viewing platform via a narrow staircase from where you can enjoy breathtaking views of Dresden and the picturesque river Elbe. Please note: Children under six years old are not allowed to go up due to the strenuous walk upstairs. Other highlights of your walk include the Royal Palace, the mural Procession of Princes (Fürstenzug), the Zwinger, and the world-famous Semper Opera House. Insider Tip: You can book a guided tour to look behind the scenes of the Semper Opera House. Or, grab yourself a ticket for the ever popular opera “The Magic Flute” (Die Zauberflöte) or “Don Giovanni” by Mozart. 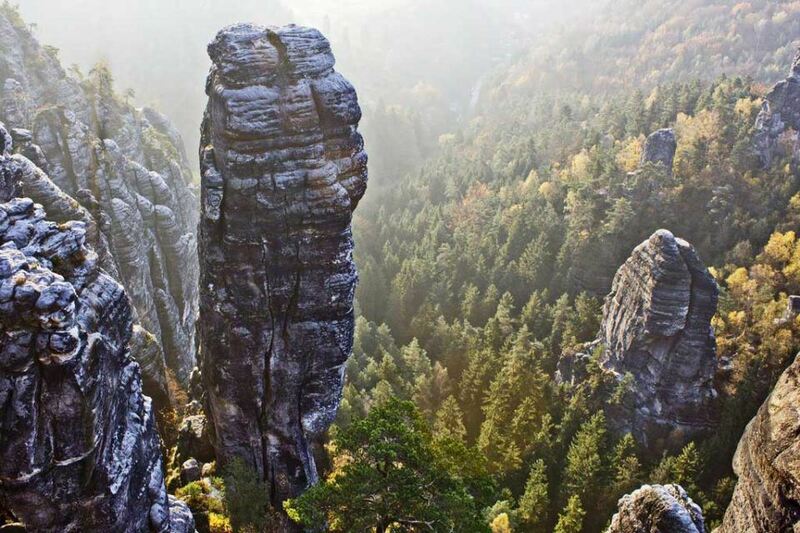 The Saxon Switzerland National Park is the place to go for any climbing or hiking enthusiast. The Elbe Sandstone Mountains are so unique with their striking variety of landscapes from rocky mountains, valleys, ravines and table mountains you won’t find anywhere else in the world. Climbers can choose from hundreds of climbing locations suitable for beginners or advanced climbers. Hiking trails cover an impressive distance of over 1200 km (745 miles) for easy short hikes or longer tracks for the more adventurous hiker. Either way, the views are spectacular at every turn. Walk through the lush green forest, discover caves and enjoy panoramic views of the river Elbe down in the valley. The best places to enter the Saxon Switzerland National Park are from Pirna or Bad Schandau. You can get there in around forty minutes by public transport or by car. The Zwinger palace has always been one of my favorite places when visiting Dresden. The beautiful Baroque architecture, the palace gardens, and the famous Baroque fountain Nymphaeum are magical and will take you back to the times of Augustus the Strong in the eighteen centuries. Inspired by the palace of Versailles, Augustus the Strong wanted something similar, and finally, the Sandstone palace was designed and built by Matthäus Daniel Pöppelmann from 1710 to 1728. Today, the Zinger Palace is home to various museums. Another fantastic way to explore Dresden and its surrounding is by taking a bike ride along the banks of the river Elbe. One of the beautiful routes is the 25 km (15 miles) long cycle track to the 1000-year-old town of Meissen also known as the ‘cradle of Saxony.’ Meissen is most famous for its production of European porcelain which was invented around 1708 and is still produced today. The route between Dresden and Meissen is easy to ride with lots of smaller restaurants and cafes along the way, perfect for a well-deserved rest. Just watch the world go by and marvel at the beautiful sights. You could also take a detour to visit some vineyards. Fun Fact: The cycle track is part of the Elbe – Cycle – Route that stretches over 1200 km (745 miles) from the Czech Republic all the way to the Baltic Sea. It is the most popular cycleway in Germany. 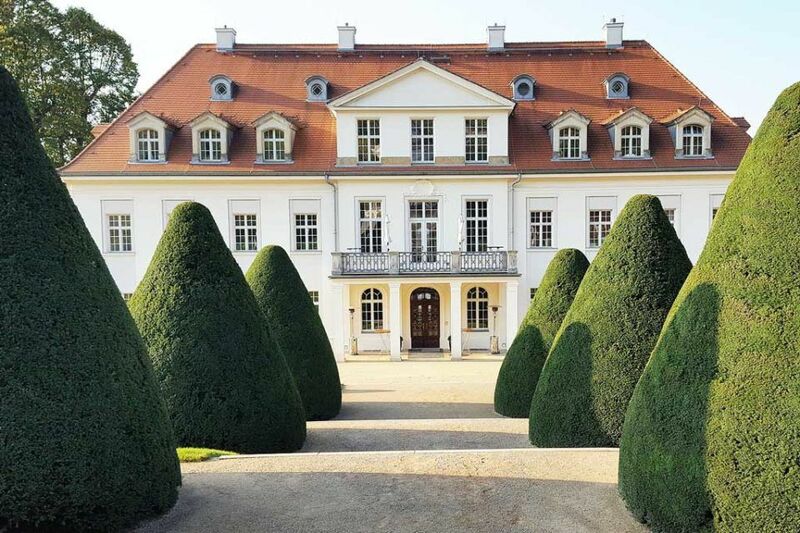 Speaking of vineyards, just a short way off the cycle track, you’ll come to Radebeul and its grand estate Schloss Wackerbarth, a wine-growing estate of superlatives. It not only looks back on 850 years of wine growing tradition. 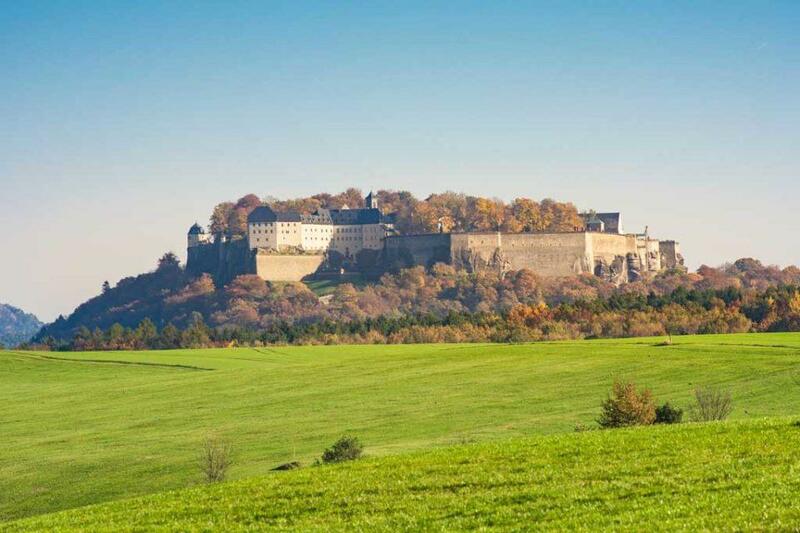 Schloss Wackerbarth is also Saxony’s oldest wine producer and Germany’ second oldest producer of sparkling wine. Wackerbarth castle consists of a unique ensemble of the castle, the summer house ‘Belvedere,’ a wine factory and Baroque gardens. Take a guided tour through the vineyard including wine tasting, enjoy the delightful garden setting or indulge in fine dining at the Schloss Wackerbarth restaurant. After so much sightseeing and walking, it is time to relax and hop on board of one of Dresden’s eight historical paddles steamers. By the way, the Saxon Steamship company operates the oldest and largest fleet of paddle steamers in the world. They are between 80 and 131 years old. There is a good variety of tours on offer, from scenic day cruises to Saxon Switzerland, short city tours, or Jazz and Dixieland cruises. For a romantic evening, in the Advent time (November/December) enter the festively decorated board of one of the newer beautiful salon ships and take in the gorgeous silhouette of Dresden by night. The three-course Christmas Candlelight dinner is enhanced by live music from a Pianist. 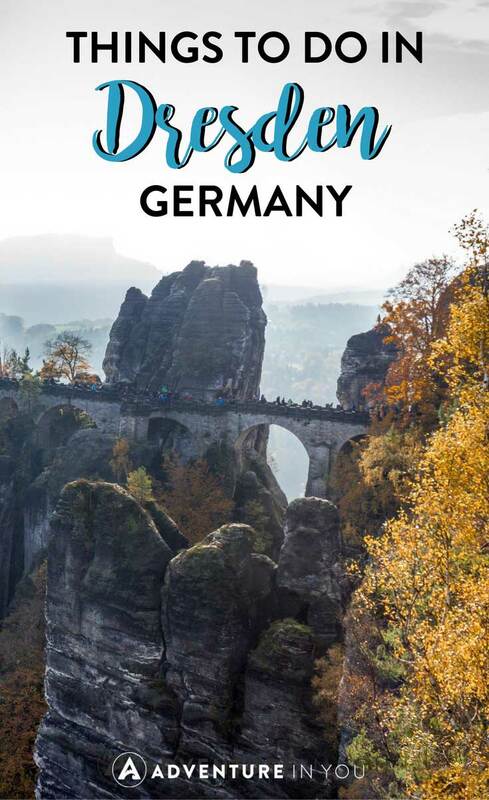 A visit to Saxon Switzerland wouldn’t be complete without seeing the most famous landmark of the region, the Bastei which is a magnificent rock formation that rises over 300 meters above sea level. The Bastei Bridge is a man-made bridge that connects several rock formations and is an absolutely stunning sight. 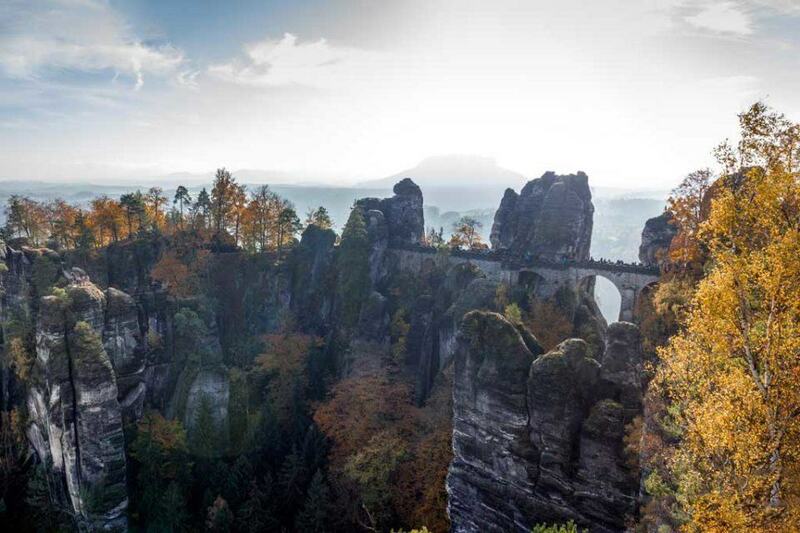 The panoramic lookout at Bastei has been a tourist attraction for over 200 years. The views over the mountains and to the river Elbe are just spectacular. There is no entree fee, and the Bastei can be visited all year round. A not to be missed attraction! Now it’s time to conquer the Königstein Fortress, another must-see attraction with lots of superlatives. Sitting on a hilltop above the town Königstein, this massive fortress looks back at over 800 years of history. An ensemble of 50 buildings in different architecture styles from Gothic, Renaissance, Baroque to the 19th century – enclosed by up to 40 meters high walls – this Fortress is undoubtedly impressive. Have a peek at the deepest water well in Saxony (and second deepest in Europe) and visit the cells where once famous people like Johann Friedrich Böttger, the co-discoverer of Meissner porcelain, were imprisoned. Until 1922, Königstein Fortress was the most feared prison in Saxony. Guided tours in English are available from April until October for a small fee. The Fortress is open daily from 9 am to 5 pm. The nightlife in Dresden is vibrant, fun and right on trend. There is something for every taste, from beer gardens to cocktails bars, to pubs with live music to dance clubs. 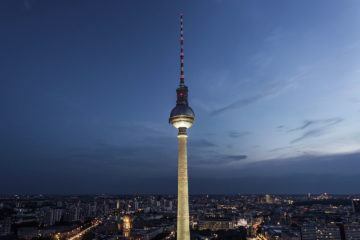 The best places to find the trendiest bars and clubs are in Neustadt (New Town) and the Hechtviertel with cocktail bars, pubs, dance clubs and restaurants. Start off with some live music and a refreshing Radeberger Pilsner. Travel back in time to the 1970’s East- German era with a visit to ‘Ost-Pol,’ a charming bar with live music and cheap beer and liquor. If jazz music is more your thing, then head over to Blue Note, a jazz club with live music and jam sessions every night from 9 pm. An institution for locals and tourists alike is ‘Katy’s Garage’ with a beer garden, bar, a dance floor and live music all at once. How about dancing the night away? One of the hip places to go is the Blue Dance Club with cool music and a friendly atmosphere. Wednesday nights are dedicated to ‘Black Music,’ Friday nights get you dancing with music from the 90’s to today’s top hits. Saturday’s dance music will take you back to the ‘Oldies but goodies.’ A cocktail lounge completes the package. Sitting well above the river Elbe with amazing views of the Elbe valley, surrounded by an extensive gorgeous park, you won’t forget a stay at the fairytale-like Castle ‘Schloss Eckberg.’ Schloss Eckberg offers a complete package for people who are looking for a romantic getaway, want to rejuvenate in peaceful surroundings or get pampered with a relaxing massage. After a good night sleep in the most comfortable beds, indulge in a breakfast buffet in the Castle restaurant. Schloss Eckberg is a magnificent place to stay. Tip: Rooms in the Cavaliers house are fantastic too and a bit more affordable. Last But Not Least, my top ten list of things to do in Dresden wouldn’t be complete without mentioning the local cuisine. German cuisine, in general, is hearty, rustic, down-to-earth, with large portions that will satisfy even the biggest eater. Saxony’s regional cuisine is no exception with its signature dish ‘Sauerbraten with Klössen and Rotkraut.’ Delicious! The beef is marinated for a few days in a mixture of red wine, red wine vinegar, bay leaves and other spices and slow cooked in a roasting dish. Finally, it gets served with lots of gravy, accompanied by dumplings and braised red cabbage. If you want more tips on what to eat, check out our complete Germany Travel Guide. People with a sweet tooth will love ‘Quarkkeulchen’ and ‘Eierschecke,’ a Dresden cake specialty which consists of three layers including a quark-vanilla-pudding. 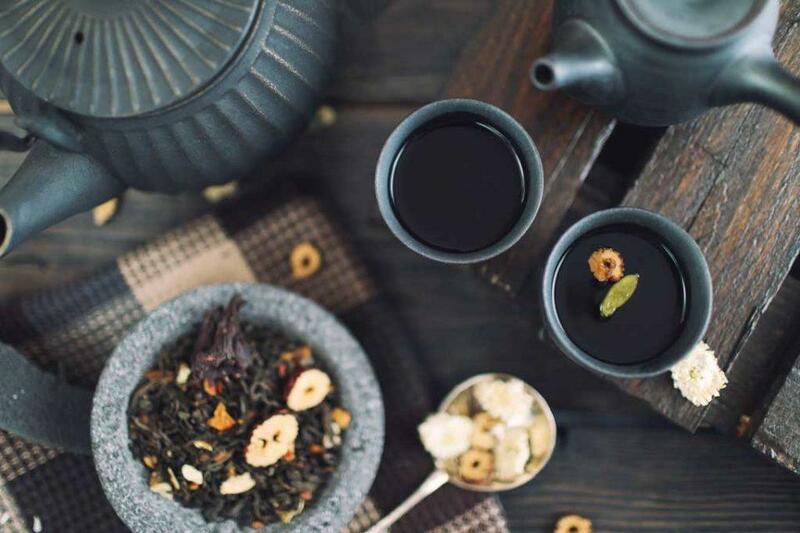 Enjoy these delicacies with a cup of coffee in one of the many cozy cafes. By the way, sitting down for an afternoon of Coffe&Cake is a German tradition that many cafes in Dresden embrace and cultivate. The Dresdner Kaffeestübchen, not far from the Frauenkirche, is a great place to find refuge from the bustling Altstadt (Old Town). For only €6.90 indulge in a homemade slice of Eierschecke, coffee and a shot of coffee liquor. Before you book your next flight to “the Florence on the Elbe,” check out our top recommendations on where to stay in Dresden. Cityherberge – Centrally located in the old town, this property is surprisingly a 12-minute walk to the beach, which is great if you want to have the best of both worlds. There’s a wide range of room options at Cityherberge that are attractively decorated and functional. Do look forward to the hotel’s very hearty breakfast buffet. They also have a kitchen where you can use to fix your meal of choice. Hostel Louise 20 – This hostel is just 3 minutes away from the tram and a 20-minute walk to the old town. If you’re a foodie, Hostel Louise 20 is a perfect choice as there are several restaurants surrounding the property that serve a variety of cultural cuisine. Rooms are pretty basic, but the guest service is excellent. The breakfast buffet is hosted near the property and serves high-quality food. Therese-Malten-Villa – The property is close to the famed Elbe River, and there’s a ferry nearby should you wish to go across. Therese-Malten Villa is perfect for small families or groups: some of the rooms have a sitting area and a fireplace, and you can always step out for a leisure stroll, hike or group biking. You can also prepare your own meals using the shared kitchen at the property. Star Inn Hotel Premium Dresden im Haus Altmarkt– If you’re into churches, museums, and history, do book a room at this hotel. This pet-friendly property is just walking distance to some of Dresden’s scenic spots.The hotel can also arrange a bike rental for you if you do not prefer to walk. Some of the units feature a sitting area where you can relax and take in the beautiful view of the main square nearby. Design-Apartment im lebendigen Haus – This property is something out from a luxury architecture digest. The contemporary apartment features an open space aesthetic, clean industrial design, comfortable beds, and a fully equipped kitchen. Plus, it’s just in front of the Zwinger palace, and it would be an experience if you book for at least a night here ahead of your visit at the baroque building. Hotel Taschenbergpalais Kempinski – Previous guests keep coming back to this five-star hotel because of its impeccable, first-class room service. From the turndown service, toiletries, to special requests, you’d really feel like a royal at this hotel. It’s also a few minutes away from Zwinger palace, Semperoper opera house, and the Frauenkirche church. Anke is a Family Travel Blogger and lives with her three children and Kiwi husband in New Zealand. When she is not busy traveling or cooking dinner for the family, you'll find her at the beach walking the much-loved family dog.